This month we are celebrating National Dental Hygiene Month! It is an unfortunate fact that many people neglect their oral health, which is why periodontal disease and tooth decay are still prevalent today. Because of this, and in lieu of the month’s theme, we want to take some time to stress how important it is to properly maintain your oral hygiene. By caring for your dental hygiene, you can keep your mouth safe and secure, earning a lifetime of healthy teeth and gums for your troubles. We want to make this easy for you, which is why Dr. Richard Grubb is here today to provide some helpful tips that can make keeping your teeth and gums safe simple. First off, you should be sure that you are properly brushing your teeth. This means that you are being sure to brush both sides of your teeth, for 30 seconds per side. As far as technique goes, you should be holding your brush at a 45-degree angle, and moving it in small circles so that you hit your gums in addition to your teeth. Finally, brush gently. If you see blood, you are brushing too roughly. While brushing your teeth, you should also take the time to brush your gums and tongue. Brushing your gums will strengthen them, protecting the soft tissues from bacteria that cause periodontal disease. In order for brushing to be effective, it is important that you use the right type of toothbrush. Many people believe that harder bristled toothbrushes are better for their teeth. However, these kind of brushes can actually remove enamel from your teeth and can harm your gums. You should only consider using a hard bristled toothbrush if your dentist recommends it. Instead, you should use a soft bristled toothbrush. 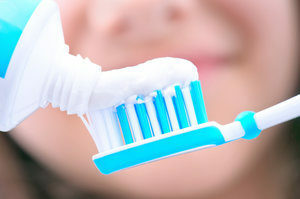 If you feel like you need something a little stronger, then consider picking up an electric toothbrush. Regardless of which type of brush you choose, you will want to replace it every 2 to 3 months. For electric toothbrushes, you will replace the headpiece every 2 to 3 months. One of the first thing a dental hygienist will ask during a teeth cleaning appointment is whether or not you are flossing. This is because flossing is an incredibly important part of any dental hygiene routine, as it removes tricky bacteria and pieces of food that might be stuck between your teeth and gums. Many people choose to ignore flossing because they don’t like the way it feels or it makes their gums bleed. Some find flossing too awkward, or can’t get the motions down. Fortunately, these problems are all easily remedied. When it comes to bleeding, regular flossing will strengthen the gums to the point where they no longer bleed. You’ll also get used to the feeling of flossing this way. As far as being unable to get the motions down, you may want to try using flossing sticks. These disposable plastic handles hold a small thread of floss, which is easier to maneuver than wrapping a loose thread around your fingers. 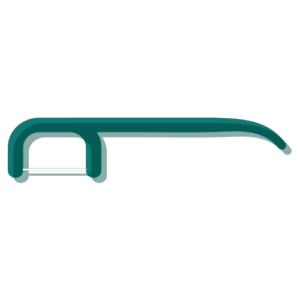 Flossers can be just as beneficial as regular floss; you simply need to be sure that you are getting the flosser to wrap around each tooth when you push it below the gums. It is understandable that you may not be able to brush your teeth after every meal. This is especially true for busy professionals, who may eat at their desks and not have a chance to excuse themselves. But, anyone can carry a pack of gum with them. Chewing sugarless gum is good for your oral health because it increases the flow of saliva in your mouth. This saliva works to remove bacteria and debris from your teeth. Chewing also exercises your jawbone, which can help prevent deterioration. Alcohol: Alcohol is a diuretic, which means it increases the rate at which you urinate and lowers the amount of saliva in your mouth. Drinking too much alcohol can leave your mouth without saliva, depriving you of your mouth’s natural defenses. Tobacco Products: Whether smokeless or not, tobacco products can compromise your oral health. The chemicals pumped into these products, as well as the nicotine, are known to damage the sensitive tissues that make up your oral structures. These substances can also cause oral cancer and periodontal disease. One final bit of advice is not to neglect your regular teeth cleaning appointments with a dentist. During these visits, the dental hygienist will meet with you, clean your teeth, and expose any weaknesses in your daily routine. While performing your cleaning, your hygienist will also check for signs of tooth decay and gum disease. Some signs of these conditions are not as obvious as others, so having another set of eyes take a look can be very beneficial. By doing so, many of these conditions can be prevented before they begin to cause trouble if caught early enough. Here at Family Implant & Reconstructive Dentistry, we want all of our patients to have a lifetime of healthy teeth and gums. This means ensuring that each patient has the information they need to create the best dental hygiene routine for their needs. When you are ready to secure your oral health, contact our office and schedule a no-obligation consultation with Dr. Richard Grubb.